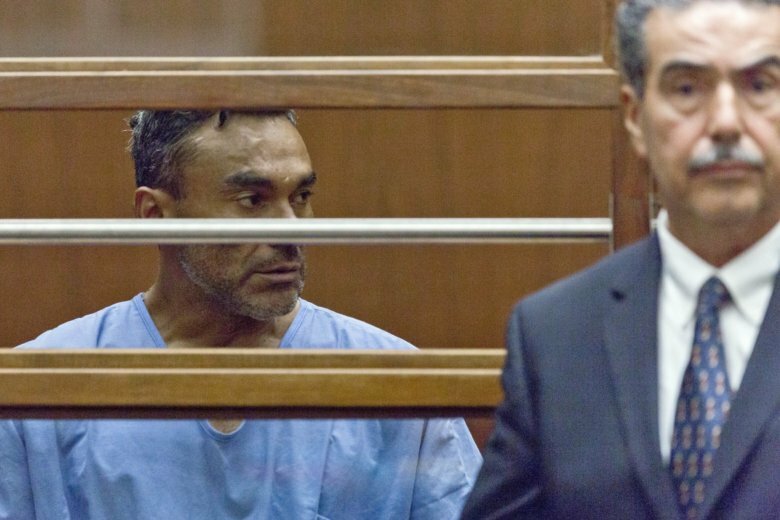 LOS ANGELES (AP) — Police will seek a fourth murder charge against a man suspected in a string of brutal and deadly beatings of mostly homeless victims in the Los Angeles area after another person died, officials said Wednesday. The fourth victim, who was not immediately identified, died late Saturday, according to Santa Monica police Lt. Saul Rodriguez. He had been hospitalized since being struck in the head while sleeping on a sidewalk early on Sept. 24. Police will ask Los Angeles County prosecutors to file an additional murder charge against Ramon Escobar, Rodriguez said. The El Salvador native was charged last week with three counts of murder, five counts of attempted murder and four counts of second-degree robbery. Information on a lawyer for Escobar was not immediately available. Houston police also want to question Escobar, 47, in the disappearance of his aunt and uncle in Texas. Officials there said Escobar had a history of violence and had been deported from the United States six times. But he wasn’t flagged for arrest by authorities because foul play wasn’t immediately suspected after Dina and Rogelio Escobar went missing, said Houston police spokesman Kese Smith. Foul play is now suspected in the disappearances, she said last week. Escobar arrived in California in early September, where authorities say he began a string of attacks on at least seven men, most of them homeless. Four have now died. Investigators believe that Escobar bludgeoned the men with a wooden baseball bat or bolt cutters as they slept on the beach or on the streets of Los Angeles and Santa Monica in order to rob them. Escobar has a long criminal history, including six felony convictions for burglary and illegal re-entry, but U.S. Immigration and Customs Enforcement released him from custody after Escobar won an appeal in immigration court in 2016.